Corey Lewandowski Is Advising a Candidate Planning to Challenge AOCTrump’s former campaign manager has been helping Ruth Papazian, a medical journalist who’s launching a long-shot challenge to the first-term Democrat. The ‘Chaos and Drama’ of Trump’s Woman in New YorkLongtime Trump-family employee Lynne Patton has brought her boss’s bombastic style to a HUD job formerly held by wonks and insiders. Is Hakeem Jeffries the Next Speaker — or Just Ripe for a Primary Challenge?The Brooklyn congressman has been pegged for political stardom. But the arrival of AOC in Washington might complicate his life. 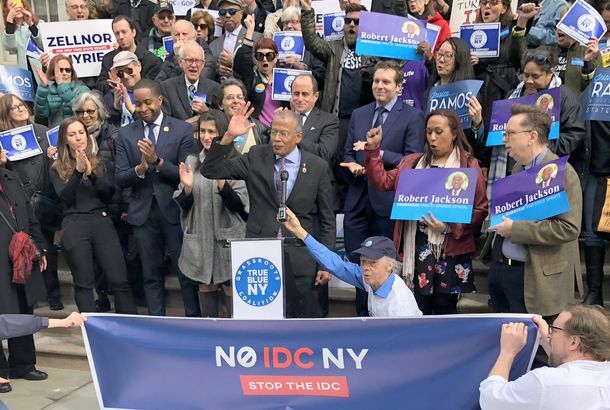 The Obscure, Overcrowded Election That Could Change New York City PoliticsNext week Melissa Mark-Viverito, Jumaane Williams, and 15 other candidates will compete for public advocate, often a launching pad for ambitious pols. How Cuomo, de Blasio, and Bezos Blew the Amazon DealNo one took responsibility for selling it. In the vacuum left by the company, the mayor, and the governor, opponents pounced. Hiding Out With the Stand-up Comic Who Could Put Roger Stone in PrisonRandy Credico seems to be a key witness for Robert Mueller against longtime frenemy Roger Stone. But he’s scared as hell. 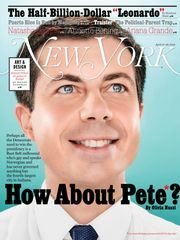 Why Bill de Blasio Is Acting Like a 2020 CandidateHe’s not taking any of the steps a serious candidate would be taking. But that doesn’t mean he doesn’t have a strategy. The People Who Tried to Crowdfund the Wall Are Now Trying to Build It ThemselvesBrian Kolfage says his group is going to try to raise the money to buy the land and build the wall themselves — without the federal government. Why Governor Cuomo Gave a Speech That Sounded Like a Secession ThreatYou don’t say New York “declares independence from this federal government’s policies” unless you want to, at the very least, fan 2020 rumors. New York State Has Entered a New Phase of PoliticsAndrew Cuomo’s resounding win was part of a shift in Albany. The only question now is what the new system will look like. Is Antonio Delgado Getting a Bad Rap?The congressional candidate has faced racist attack ads, but might still take back New York’s mostly white, Obama-Trump 19th. Robert Menendez Is Testing New Jersey’s Tolerance for SleazeDespite lurid corruption charges, the Democrat is still favored to win his Senate race. But will voters have last-minute doubts? An Oral History of Donald Trump’s Almost-Run for President in 2000“I didn’t think he was a fit. Because of his morals. Because of his finances. Because of his egomania,” says the then-chairman of the Reform Party. New York Primaries Show Elections Are Still Won on the Ground, Not OnlineCuomo and his top allies won — while breakaway Senate Democrats stumbled down-ballot — due to the power of old-fashioned organizing. 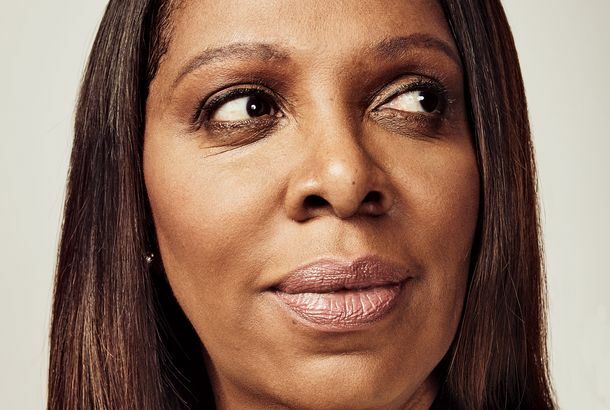 Letitia James on Her Battle to Be New York’s Next Attorney GeneralThe onetime shoo-in worries that anti-Establishment fervor will undo all her dues paying. It’s Establishment vs. Ex-con in Connecticut Democrats’s Gubernatorial PrimaryBridgeport Mayor Joe Ganim probably can’t defeat Ned Lamont, but stranger things have happened. Cuomo’s State Senate Deal Unravels As Rogue Democrats’ Rivals Gain MomentumChallengers to the Senate’s breakaway Democrats have become a political force, running against the kind of backroom deals that kept the GOP in power. Ocasio-Cortez’s Upset Over Crowley Seemed to End Amicably. Now They’re Feuding.The Democratic nominee says the congressman is mounting a third-party run against her. He says there’s no ethical way to get his name off the ballot. Ocasio-Cortez Not Only Beat Crowley — She Beat Old-School New York PoliticsThe congressman had the backing of a powerful political machine. In a climate of anger, it didn’t help him at all. 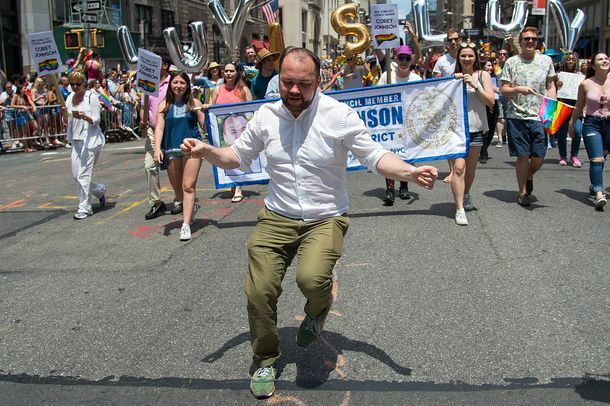 The 28-Year-Old Progressive Hoping to Unseat One of the Top House DemocratsIf Alexandria Ocasio-Cortez dethrones longtime Congressman Joe Crowley on Tuesday, it will jolt the Establishment in New York, and Washington. It’s Never Been Easier to Be a Felon Running for CongressIn the age of Trump, Michael Grimm’s criminal past and total lack of party support could give him an edge in NY11’s GOP primary. Not That Long Ago, New York Really Was Governed From a Smoke-filled BackroomAs late as 1989, an undemocratic entity called the Board of Estimate made the city’s key decisions. When it was banned, a new political era was born. Working Families Party Mulls All-out War With CuomoSlighted by the governor, the party backed Cynthia Nixon. Now they must decide if their fight for survival is worth risking a GOP administration. Progressive Energy Is Sweeping the Country — But Not New York’s Democratic PartyCynthia Nixon tried to bring a bit of the resistance to the state Democratic convention, but Andrew Cuomo trounced her, taking the party’s nomination. Letitia James Has Taken Control of New York’s Attorney General RaceBut there is still time for a challenger — Preet Bharara, anyone? — to emerge as New York State’s next top cop. Everyone Wants to Be the Next Attorney General of New YorkThe field of potential candidates to replace Eric Schneiderman has gotten very big, very fast. Will it even include Preet Bharara? How Eric Schneiderman Went From Political Golden Boy to DisgraceHe was positioned to succeed Cuomo as governor. But now he’ll always live on a list with Spitzer and Weiner. Time Inc. Saw a Hopeful Future With Meredith. Now They’re Seeking a New Savior.Even as Meredith basks in the celebrity glow of its first Time 100 Gala on Tuesday, the company will be courting buyers for Time and other titles. David Boies Was America’s Top Litigator. Now He’s Known As Weinstein’s Lawyer.He was celebrated for taking on Microsoft, George W. Bush, and foes of gay marriage — then he hired spies to stop the Weinstein allegations. What’s at Stake for Bill de Blasio in an Election He’s Sure to WinFor a politician still aspiring to take the national stage, how much he wins by — and how many people vote — does matter. Scandal-Plagued Cy Vance Suddenly Has a Write-in ChallengerMarc Fliedner, a Brooklyn civil rights lawyer, has been drafted by Liberal Twitter to take on the Manhattan DA in November. He’s ready. Charlie Rangel Says Good-byeFor the first election season in more than 40 years, the Harlem congressman won’t be appearing on a ballot. How Donald Trump Got Tapped to Lead New York’s Israel Day ParadeHe now touts the 2004 event as one of his major foreign-policy credentials. His co-grand marshal was Dr. Ruth. 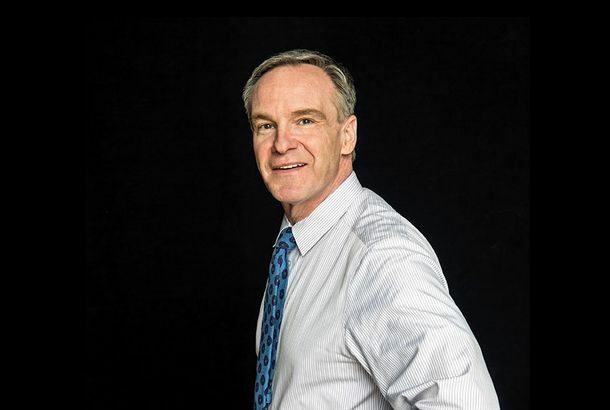 Developer Paul Massey Wants to Run for NYC MayorPaul Massey does not see New York as a tale of two cities. How the New York State Republicans Could Have Derailed Trump’s White House RunBut Albany might have needed to welcome a Governor Trump.